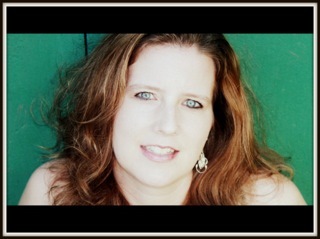 LISA HARRIS is a Christy Award finalist and winner of the Best Inspirational Suspense Novel for 2011 from Romantic Times. She and her family are missionaries in Africa where she homeschools, leads a women's group, and runs a non-profit organization. She loves hanging out with her family, cooking different ethnic dishes, photography, and heading into the African bush on safari. SS: Please share with us about your missionary work in Africa. Almost ten years ago, our family moved to South Africa to work with my husband’s aunt and uncle, primarily with leadership training. After spending four years there, God clearly called us to Mozambique where we now live. While we still work for African Outreach Ministries, our work is focused more on discipleship and planting village churches. It’s been an amazing and, at times, difficult few years, but I’ve see over and over how God is faithful. A couple of years ago, after dealing with the physical needs of people, we decided to start The ECHO Project (www.theECHOproject.org) to enable us to help more people. This non-profit helps with Education, Compassion, Health, and job opportunities. Last year we were joined by another couple who has a lot of agricultural experience and will be using these skills, as well as their ministry gifts, in conjunction with our work. SS: What are some of the highlights of your life in Africa? Besides ministry highlights and the people we’ve met, one of the greatest highlights has been the opportunity to travel. We spent five months in Brazil, learning Portuguese, have traveled some in Europe, and across southern Africa. Our kids have been able to scuba dive in the Indian Ocean, have seen the penguins at the tip of South Africa, and have encountered leopards and lions at Kruger Game Park. Dangerous passage is a novel exposing the darkness of human trafficking, not in some far away part of the world, but right here in the US. In the story, my main character, Avery North, struggles to balance life as a widow and a single mom with a full-time career. She has to come to the point where se realizes her weaknesses and fears and rely only on God’s strength. In our own lives, we often feel inadequate to follow God’s call, but never forget that the God who created the universe loves us and wants to be our strength. He came to heal the empty and broken hearted, and those searching for freedom and hope. That’s what I hope readers take away from this story. SS: How can readers contact you on the internet? I love to hear from my readers! You can find me at my website, www.lisaharriswrites.com, or my blog, http://myblogintheheartofafrica.blogspot.com. 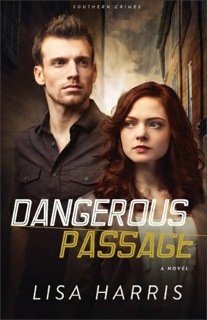 Lisa is giving away a copy of DANGEROUS PASSAGE! Please comment below and include your email address/contact information if you would like to be entered in the drawing. I’ve started watching a new series called Zero Hour. It was cancelled after three episodes, but they filmed ten more so at least I’ll get to watch it to the conclusion. DiAnn Mills told me about the show and of course I had to check it out. There are a lot of things I like about it. *The characters – why? Because they’re real. Maybe not great actors, but I like the characters. Their motivations are sharp and clear. I have no trouble understanding what they want. Hank wants to rescue his wife. The FBI agent (forgot her name, sorry) wants to kill the man responsible for blowing up the plane that her husband was on. Vincent wants the 12 clocks. And so on. *The plot – It moves. There’s never a dull moment. There is action, there’s the psychological tortures (lol) of wondering what’s going to happen next. I love the idea of a treasure hunt. *The flashbacks are well done- They move the story along and help you understand what’s happening in the present. *The villain – he’s truly evil and yet when his captive pulls a bullet out of his back, he thanks her. *Some of the character’s actions are stupid. I don’t like stupid characters. In one of the first scenes of the show, someone is breaking into Laila’s store (Hank’s wife) and she doesn’t dial 911, she calls her husband. Dumb, dumb, dumb. But that’s not the fault of the actress, that’s poor writing. I get it, they had to get the husband to the store, but the writer should have come up with a better way. Like have them on the phone talking and THEN the intruder try to get in. He would over hear this and THEN shout at his co-workers to call the cops as he races out of the office to his wife. I mean, such a simple thing. And so much more believable. *I don’t like that it warps scripture. But it’s not a Christian television show, so I should take that into account if I’m going to watch it. *Everyone remembers stuff or sees something that triggers just the right clue that leads to exactly what they need it to lead to. Not necessarily predictable, but…lazy. So, I’ve listed a few of my pet peeves as a reader/watcher and as a writer. And I've listed things I like? What about you? Pet peeves and likes? Looking forward to hearing wheat you have to say. I dabbled with short stories for many years, but it wasn’t till 2002 that I got serious about writing. To be blunt, I was afraid. My greatest dream had always been to write novels, but I never took action, because what if I attempted my dream and it crashed and burned? I’d have nothing then, not even the dream anymore. What a lie. I think God gives us desires. Those desires reveal the way he designed us. That design reveals our destiny. My destiny was to be a novelist, even if I never was published. God’s definition of success and ours is very different. His definition is, “Did you try? Did you risk? Did you go for it?” So in the early 2000s I took the risk, started writing, and finished my first novel (ROOMS) in late 2005. These days around 70% of my time is spent writing and related activities, the other 30% is running my marketing firm which I’ve owned since ‘94. I work for businesses, and authors, on their websites, advertising, branding, etc. I also teach and give keynote talks at churches, retreats, and conferences. This might sound strange, but it wasn’t till I won the Christy for Soul’s Gate this past June. Yes, I knew I was an author before that. I’d written three other novels. I’d hit the bestseller list. I’d won awards for my other books, heard from many wonderful people how my stories had changed their lives—but there was something about standing up there on stage, looking out at all these people I’d admired for so long and winning an award I’d dreamed of winning for what seemed like forever that made it feel real. It was a surreal moment in the best way. Without question my amazing wife, Darci. She’s talked me off the ledge so many times she has a lawn chair set up out there. She’s been my encourager, my editor, my counselor, my friend, my challenger, my rock. Not yet. I’ve always said you can only write in one genre, that readers come to expect a certain type of story from their favorite authors and to break out of that is to break a promise to your readers. But … I’m starting to toy with the idea of dipping my toe in the lakes of other genres as well as non-fiction. We’ll see. I’ve never thought about it. I don’t try to put my faith in my novels. So far I’ve simply written the story that pops into my head, usually in the form of a question: What if you could walk into the rooms of your soul? (ROOMS). What if you could find God’s book of days on earth that shows your future? (BOOK OF DAYS). What if Jesus made a chair that lasted until today that has supernatural healing power? (THE CHAIR) What if you could send your spirit into other people’s souls to fight for their healing and freedom? (SOUL’S GATE). So I don’t set out to write a story with faith elements in it, I just write the idea I’m passionate about, and so far, faith has organically been part of the story. 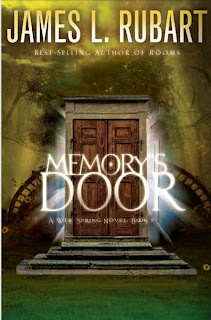 Memory’s Door is the second novel in my Well Spring series and as well-received as Soul’s Gate (the first in the series) was, I think people will enjoy Memory’s Door even more. The stakes are higher, the lows are lower and the battles are more epic. There were a number of scenes that brought dust to my eyes as I wrote them, and that’s always a good sign that I’ve captured a few elements that will go to the deep parts of people’s hearts. “The prophecy brought them together. But the Wolf has risen, and now their greatest battle begins. My contract with its firm deadline was incredibly inspiring. Kidding. This is a deeply personal story that came out of time of spiritual and personal crisis and having to face my own regrets. Writing the novel was incredibly freeing and in some ways is an expression of my journals and the struggles I went through while writing it, coming out in published form. Not surprisingly, that they can get free of their own deep regrets. Regrets are devastating because they not only keep us locked in the past, they keep us from living fully in the present and the future. There’s another major theme in the novel, but saying anything about it would be a bit of a spoiler. Sorry. Have to go with Marcus Amber (University of Washington physics professor) for this one. While Reece was arguably the main focus of Soul’s Gate, Marcus gets a little more of the spotlight than the others this time. He’s the one who has to face his deepest regret and somehow get free of it. Because if he doesn’t, his actions will destroy the other three members of the Warriors Riding. S.S: Who is your least favorite character in this book? Zennon. Why? Because he is bent on the utter destruction of The Warriors Riding. He’s brilliant, insidious, and has been orchestrating the Warriors demise for years. So many! I want to write Y.A. novels. I want to finish a number of short stories I started in my 20s. I want to write screenplays for my novels and turn them into movies. I want to write a number of non-fiction books. I want to co-write a novel with an author friend of mine. There’s more, but that’s plenty for the moment. Ride my bicycle down the entire Oregon coast. (But I’d have to get in shape for that wouldn’t I?) Spend a month in Italy with Darci. I’ve done a lot of silly/stupid/crazy things so this might not be the silliest, but it’s the first one that popped into my mind. Jump out of an airplane at 10,000 feet. I’m terrified of heights, so forcing myself to toss my body out of that plane was a significant challenge. But wow, what a rush! I loved it. It was a tremendous metaphor for my life—that anything we want in life comes with a risk and most of the time, fear. But the rewards so far outweigh the downside that there’s no other way to live. I stepped into my destiny after it was only a dream for a long time. If you’re reading these words and haven’t stepped into your purpose, do it. Take the chance. Jump off the cliff and build your wings on the way down. It will set you free. 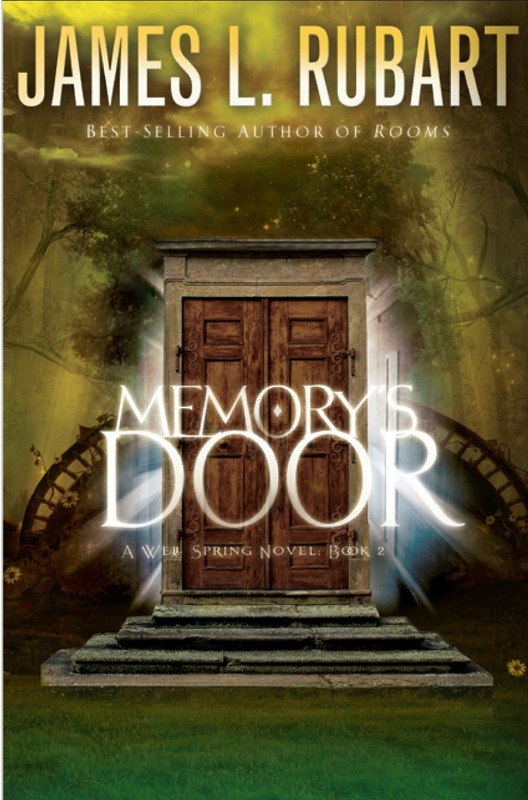 James is giving away a copy of his book, MEMORY'S DOOR! To enter, leave a comment, along with your contact information. James will pick a winner on Monday! I have been honored and privileged to attend the American Christian Fiction Writers Conference a number of times with my wife Jill. She wasn't sure I'd like hanging out with a bunch of wild and crazy writers, and she thought I might get bored when she had to be at sessions. The conference was an eye-opener. The excitement! The terminology! The only "pitching" I knew about before was in baseball, softball or horseshoes. Through all the feverish tension, I was overwhelmed at the love and encouragement people had for each other. And I thoroughly enjoyed the praise and worship, followed by devotions. One morning after devotions, I went back to our room and spent time with the Lord, reading in the Amplified Bible. He took me to Romans 10 where I read, "But how are people to call upon Him Whom they have not believed (in whom they have no faith, on whom they have no reliance)? And how are they to believe in Him of whom they have never heard?" Then I looked at Mark 16, where Jesus said, "Go into all the world and preach and PUBLISH openly the good news (gospel) to every creature (of the whole human race) . . . And they went out and preached everywhere, while the Lord kept working with them and confirming the message by the attesting signs and miracles that closely accompanied it." I had never noticed the word "published" before in the Amplified version, and it jumped out at me, considering all the writers everywhere I went. At a keynote speaking session, the scriptures I had read were confirmed by testimonies shared. People's lives are changed because of books. I believe God has called and commissioned Christian fiction writers to reach lost and hurting people who couldn't be reached any other way. If you're a writer and feeling tempted to give up. Don't! You will be surprised when you get to heaven at all the lives your stories have touched and how great your reward will be for obeying the call. P.S. At the next conference, I suggest they have sessions for the spouses of the writers who don't understand and for the writers who don't understand their spouses not understanding. Make sense? Wasn't that an awesome thought on the importance of fiction (including mystery and suspense) written from a worldview that honors God? Christian fiction (dubbed "inspirational fiction" by the secular market) is one of the few growing niches of fiction publishing today. Even readers who are not necessarily professing or strong believers number among those who contribute to the popularity because people are hungry for stories that convey hope in the face of an increasingly bleak world. A couple of years ago, I interviewed a number of my fellow Christian fiction writers in order to collect testimonies about readers who have had their lives enriched by reading their books. Tales of lives changed and people discovering or rediscovering their faith were legion. Do you have any anecdotes to share of how reading Christian fiction has impacted your life or the lives of those with whom you've shared our books? If so, do tell. It is priceless to hear that our work is making a positive impact on people. I have a speaking engagement coming up at a library, and would love to glean more illustrations to share with the those in attendance at this library's annual meeting. Sandra Robbins, former teacher and principal, is an award winning multi-published author of Christian fiction who lives with her husband in Tennessee. Angel of the Cove, her first book in the Harvest House Publishers historical romance series Smoky Mountain Dreams, released in August, 2012, and was recently named the 2013 winner in the Single Title Inspirational Category of the Gayle Wilson Award of Excellence. This award is given by the Birmingham Southern Magic Chapter of Romance Writers of America for excellence in writing romance. 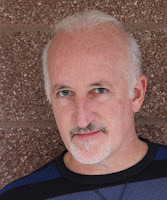 In addition in 2013 her Love Inspired Suspense books Shattered Identity and Fatal Disclosure were both awarded the HOLT Medallion in different categories of the Virginia Romance Writers of America contest to honor outstanding literary talent. Dangerous Waters the first book in her Cold Case Files Series released the first of August and will be followed by Beyond These Hills, the third book in her Smoky Mountain Dream series in September. or email her at sandra@sandrarobbins.net. I’ve been writing for about nine years now. I’d always told myself that someday I’d write a book. One night I sat down at the computer and just began to write. I knew nothing about the craft, so I got online and found an organization then called ACRW (American Christian Romance Writers). Suddenly a life long dream was becoming a reality. I do write full time now. I didn’t when I first started. I was working as the principal of an elementary school at the time. I loved my years in education and wouldn’t take anything for them. Now I feel fortunate to be able to work at home and set my own hours. I knew I was an author when I got the call that I’d sold my first book, but the realization hit me when I held that published book in my hands. Although I’d longed for such a moment for years, I never thought it would happen. That was a precious moment in my life. My family has been my greatest supporters. My mother who was an avid reader prodded me to follow my dream and never let me give up on it. My husband has been my rock and has encouraged me at times when I didn’t know if I could go on. My four children have been my champions and cheerleaders. I’m so thankful for all of them. Besides suspense, I also write historical romance. I’ve always loved studying history, and I enjoy doing the extensive research needed to write a historical. This year has been a good one for me in both genres. Angel of the Cove, the first book in my Smoky Mountain Dreams series, recently won the Gayle Wilson Award of Excellence in the Inspirational Single Title Category. This award is given by the Birmingham Southern Magic Chapter of RWA. Shattered Identity, the second suspense novel in my Ocracoke Island series, won the Virginia RWA’s HOLT Medallion in the Short Contemporary Category, and Fatal Disclosure, the third suspense in that series, won the HOLT in the Short Inspirational Category. I was thrilled that two of my novels won HOLTS in the same year. My faith guides my writing. I knew when I first began writing that I would only succeed with God’s guidance. He has directed me to places that I would never have gone on my own, and He’s put people in my path who have enabled me to achieve my dreams and goals. It’s difficult to know what I’d do if I couldn’t write. I was an educator for years, and I’d probably go back to that in some way. I did some online teaching for the university in my hometown when I first began writing, and I enjoyed that. I’ve come to enjoy being at home after so many years of rushing off to work every day, and I’d want to do something that I could do from the comfort of my home. My current release is Dangerous Waters. 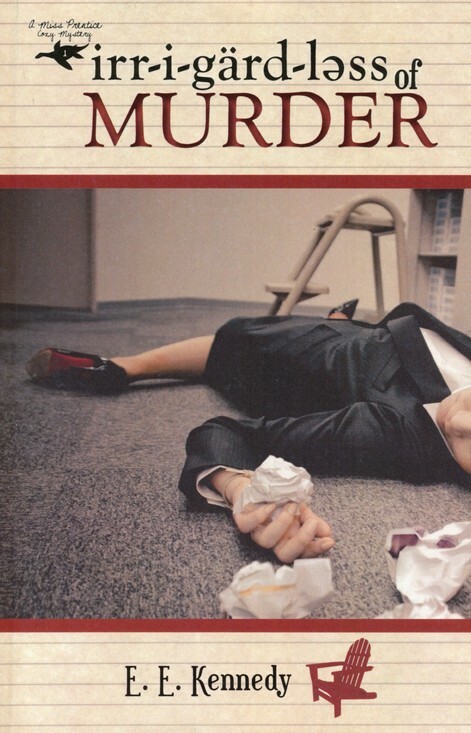 It is the first book in my Cold Case Files series and is set in Memphis, TN. The three books feature a team of detectives who work the cold case unit and solve crimes that have gone unsolved for years. 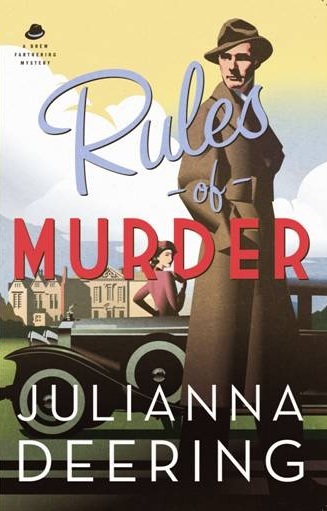 The heroine in the first book was introduced in Fatal Disclosure. In Dangerous Waters Laura Webber returns to Memphis to find out who killed her parents in a car bombing when she was a child, and she enlists the help of her former fiancé who is one of the cold case detectives. The idea for this book, in fact for this whole series, came about because of a family in our church. About thirty years ago a grown daughter of our friends disappeared from where she lived in another state. They had no idea what had happened to her and lived with this loss until last year when they were finally able through a DNA database to find her. There was a police officer who had never given up on trying to reunite his unidentified murder victim with her family. Although they were able to bring her remains home for burial, her case is still cold. I know how difficult the years have been for our friends who didn’t know what had happened to their loved one. I hope readers will understand the pain and heartbreak that many families in this country are suffering each day because of an unsolved crime that affected someone they love. My favorite character is Brad Austin. He fell in love with Laura when he first met her outside the door of their high school freshman English class, and he’s tried for years to get over her after she broke their engagement and left Memphis. Now that she’s back and someone is determined she won’t find the answer to who murdered her parents, he finds she is once again at the center of his world. In my favorite scene Laura has been injured and is taken to the hospital. Brad, upset and scared, begins to talk to a little girl whose seated next to him in the waiting room. When she asks him if he’s prayed for his friend, he tells her he doesn’t know God very well. With the wisdom of a child, she pats his arm and says, “It’s okay, mister. He knows you.” Those words break down the wall of resistance Brad has put up to keep God out of his life, and he suddenly realizes that although he left God a long time ago, God had never forsaken him. My least favorite character is the villain who wants to see Laura dead. This character puts all kind of danger in her path. I am working on the third book in the Cold Case Files series. 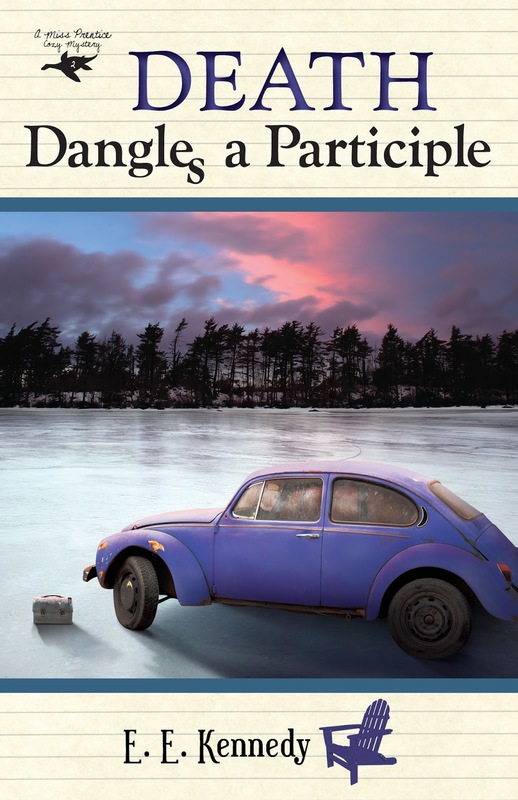 This book is loosely based on the story of the disappearance of our friends’ daughter. It doesn’t have a title yet and will be released sometime around May next year. I would love to see one of my books on the NYT best-seller list, but I’m sure I’m not alone in that regard. That’s probably a goal we’d all like to see. Knowing that the chances are slim that I will ever achieve that goal, I’ll just keep on writing the stories that God places on my heart. He knows who needs those stories, and I’ll depend on him to help my books find their way to where they need to be. I got to do one of them this summer when I took a cruise to Alaska. Now I’d really like to go to New England in the fall and see the colorful foliage. I’d also like to visit Mackinaw Island and stay at the Grand Hotel. I’ve wanted to do that ever since I saw the movie Somewhere in Time. I don’t know if this qualifies for the silliest thing I’ve ever done or not. Believe me, I’ve done some silly things in my lifetime. But some years ago three friends and I, without bothering to call for reservations, drove two and a half hours to a popular restaurant for dinner. When we got there, we were told we would have to wait three hours before we could be seated. We sat there and waited and finished eating sometime around 11:00PM. Then we drove the two and a half hours in a blinding rainstorm along an interstate with huge eighteen wheel trucks passing us and throwing water all over our car to get back to where we started. I said a prayer of thanks when we arrived safely. The hardest two times in my life were when when I lost both my parents. I miss them every day, but my faith has enabled me to get through those difficult times. Thank you for having me as a guest today. I love to hear from readers and get to know them. So I’d like to invite your readers to leave a comment today and let me know what kind of stories they like to read. Romantic suspense? Cozy mysteries? Thrillers? I think the great thing about being a reader is that there’s something to suit everybody’s taste. I pray the Lord blesses each of you. 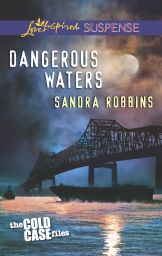 Sandra is giving away a copy of DANGEROUS WATERS. For a chance to win, read her interview, answer the question she asked, and leave us your contact information! 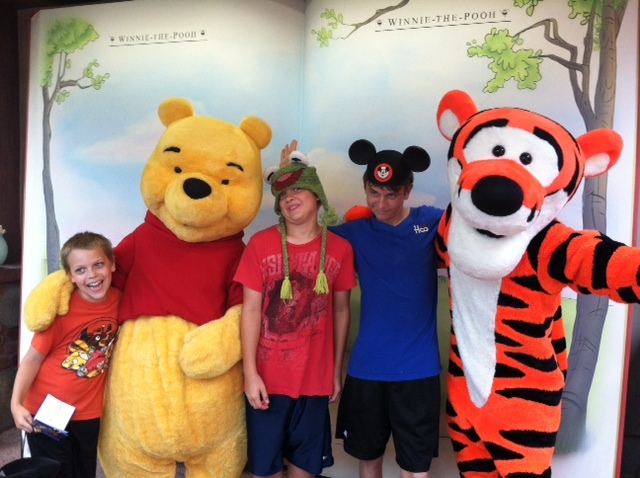 This month my family vacationed in Florida. 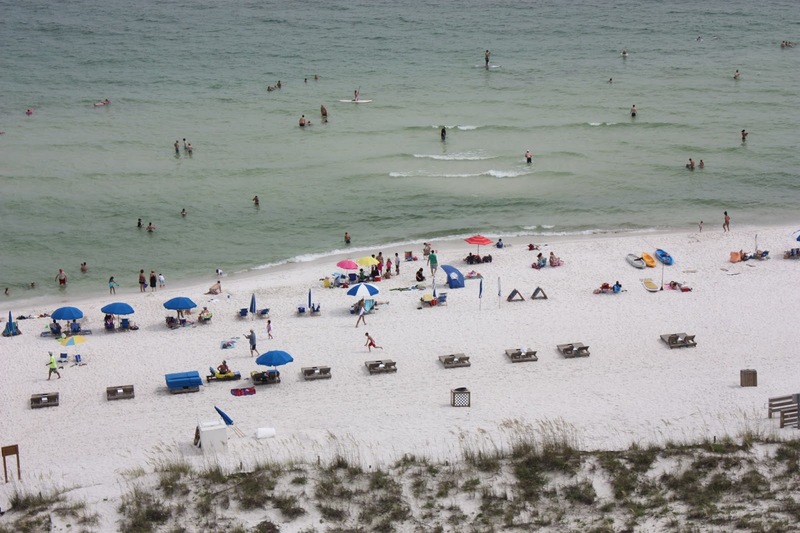 It’s been a while since we actually took a vacation, so I really looked forward to taking my boys to Disney World and showing them the beautiful white Pensacola beaches on our way there. With all the writing I’ve done the last several years (it’s a good thing), I needed not only a physical break from cooking meals and household responsibilities, but a mental break from home schooling and you guessed it—writing books. Too much writing over an extended time can zap creativity. I couldn’t think of anything I’d rather do than lounge on a white beach in the sun and listen to the waves. The image became so real in my mind that I craved that moment, and I would have been devastated had some unforeseen event prevented that. In the end, what I saw and felt in my mind actually materialized. For that, I thank God because I’d prayed for this trip. He knew I needed it, my family needed it. But how often do the dreams we hope for and envision in our hearts and minds come to pass in the way we expected? Not very often. Bringing this back to writing novels—the same is true for the writing process. Often the novel idea that stirs inside and demands to be put on paper isn't what ends up in book form. It’s a struggle to take the feelings and the visions in my head and write them out, capture them, exactly as I see them. Other times I don’t have any expectations and am pleasantly surprised with what ends up on the page. Regardless, there’s nothing more fulfilling for a novelist than seeing the novel idea take book form. Holding the fruit of your labor in your hands. But that fruit always starts with the seed of an idea. I have a long list of ideas I want to explore. Some more than others, and there’s one idea or premise, I've wanted to explore for several years. That’s setting a story at the Albuquerque International Balloon Fiesta. I love balloons. Always have. In two weeks, Love in the Air will release. I love how God always opens up a door for me to write about a setting I love. This story unfolded in surprising ways as I wrote, so I hope you enjoy reading it as much as I enjoyed writing it. I should get my author copies soon. 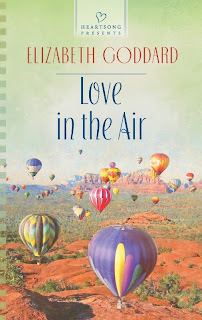 Today I’m giving away FIVE copies of Love in the Air. 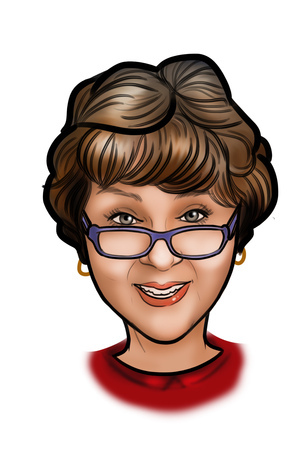 If you’re willing to leave a review up on Amazon and Goodreads, and to sign up for my newsletter at my website, then you are entered in the drawing.You must also leave a comment with your contact information here at the blog to let me know. If you have already signed up for the newsletter, you can let me know that too. Or if you don’t want to do either of those things, you can help a writer by pre-ordering Love in the Air. In order to keep writing, we need readers to buy our books, too! 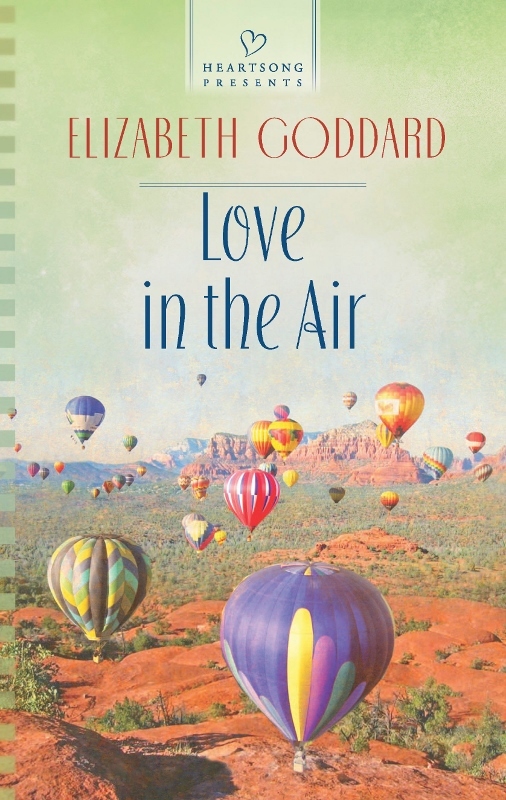 He was Nikki Alexander's first crush—until his stunts in a hot-air-balloon race led to a family tragedy. Then he disappeared, leaving her brokenhearted. Now he's back and stirring up all her emotions. Blaming himself for her brother's death, Kyle stayed away. But now Nikki's in trouble. And he knows he must step in to make it right. He'll help save her balloon business…and prove this time he's here to stay. But first he must win her forgiveness before he can win her heart.